Crocheting is all fun and games until someone hurts their finger and can't crochet for now. And that someone is me. Did you hear me? I. CAN'T. CROCHET. RIGHT. NOW. Nope, I've tried and it just hurts my finger too much. I slammed it into a drawer a couple of weeks ago and since then it has been badly bruised and swollen. To make matters worse, I kept re hurting it until I got a jammed finger brace. It's adjustable and it helps so much! It was very affordable and came with 2 different ones. This is the brace that I found. I still can't crochet with that finger but I did figure something out. Just because I can't crochet like I used to, right now, doesn't mean I can't crochet at all. 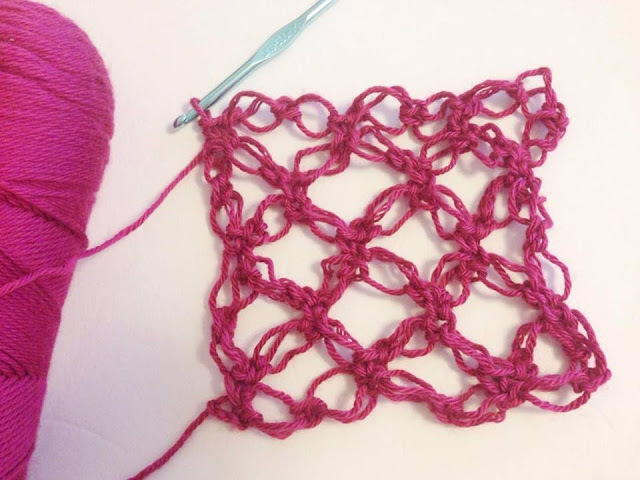 I learned single crochet, double crochets, etc with that hurt finger and it is very hard to try not to use it to do those stitches, but maybe I could learn a new stitch with out that finger? And I did! It's called The Solomon's Knot and I'm addicted! I started with one of my favorite yarns to play with, Caron simply soft and quickly got inspired by my new Caron cake to try it with it. The abrupt color changes even look great! For a video on my first impression of the Caron Cake, click here. I am hooked! I can't stop making Solomon's Knots! Would ya'll like for me to make a video tutorial on the Solomon's Knot? I think I have a really great tip to make it easier too. I have so many ideas for patterns using this stitch and I can't wait to share what I'm making with this Caron Cake, stay tuned! I know the Solomon's Knot has many names, what do you call it? Follow me on facebook or instagram to keep up with this project and more! DISCLAIMER: I have not been paid for this blog. These are my own opinions. 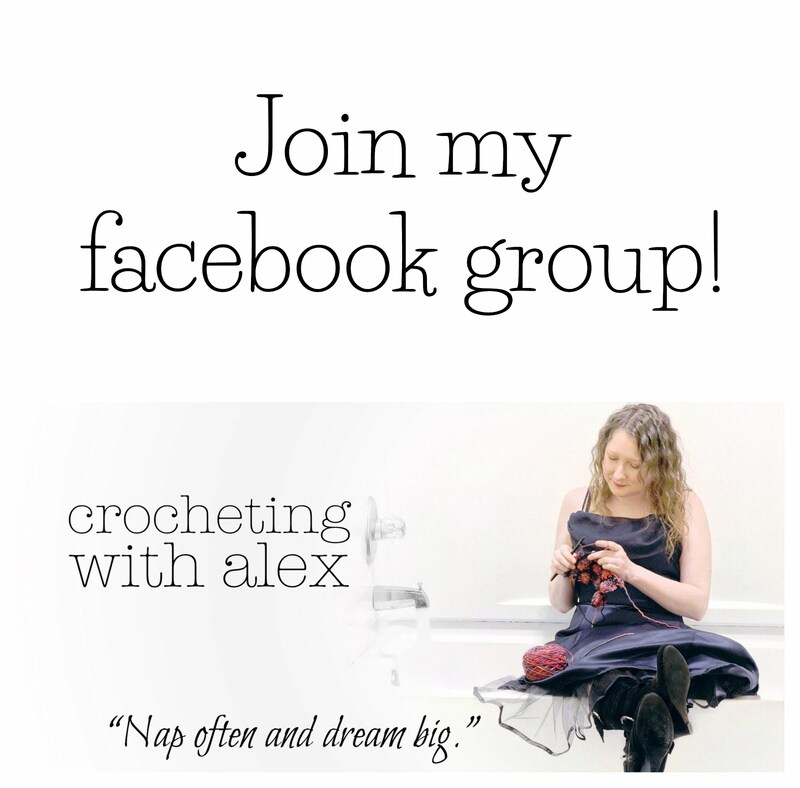 Hello Alex, isn't it funny how when it comes to crochet we will find a way, (Where there's a will, there's a way). I do hope that your finger heals quickly though. I must say that I do like the colour combination in that Caron cake and it looks good in the Solomon's knot stitch pattern. I would love a video! 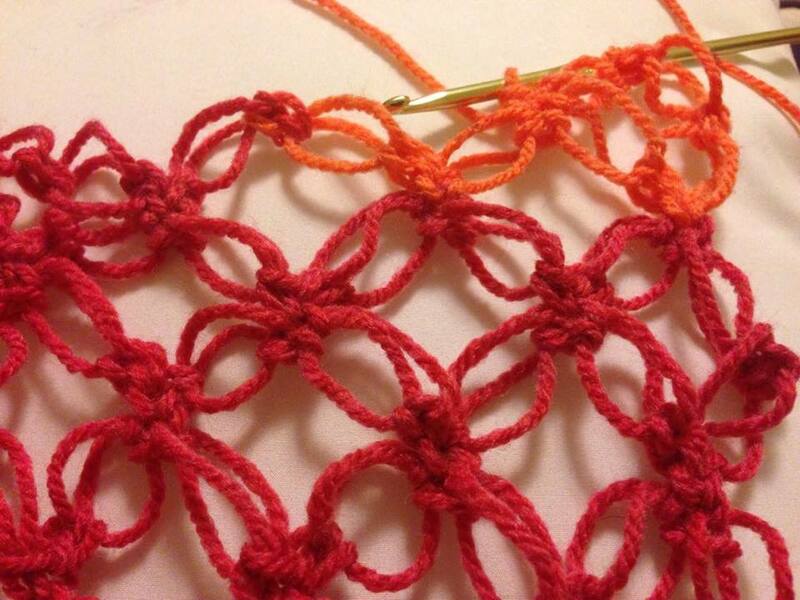 It is a gorgeous stitch. I think it would make a nice shawl or go on top of a bed. So, what are you going to use it for?